Sandstone Staircase for Pool House and Gym Area. 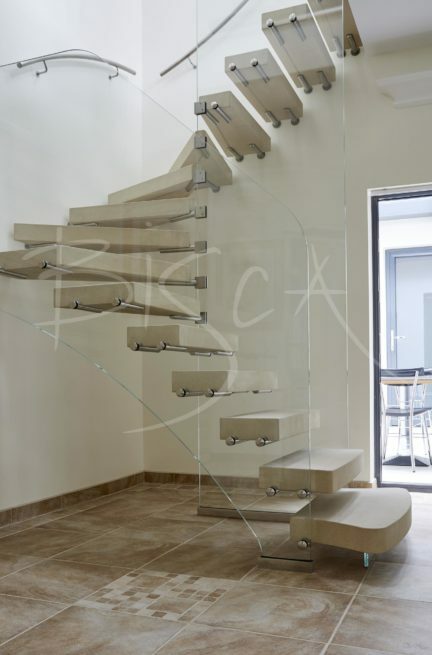 Our clients commissioned Bisca to design a sandstone staircase to connect their pool house and new first floor gym. Situated in a Yorkshire spa town, the property is built of Yorkshire sandstone. Therefore the choice of sandstone treads effectively links the exterior and interior. Taking the chlorine environment into consideration, the staircase is of marine grade stainless steel. Laminated, structural glass panels and feature steel pins support open sandstone treads. Depending on their position on the stair, each tread is either supported by glass or the wall. The stone used matched the floor and Romanesque style of the spa pool. The space and position of doors in the room made this a challenging stair to design. To make the best use of the space the design positions the foot of the stair centrally between doors. The bottom two treads flare out into the room, thus giving better access to the staircase. Gently curved, brushed stainless steel handrails fix to the walls, again using marine grade fixings. 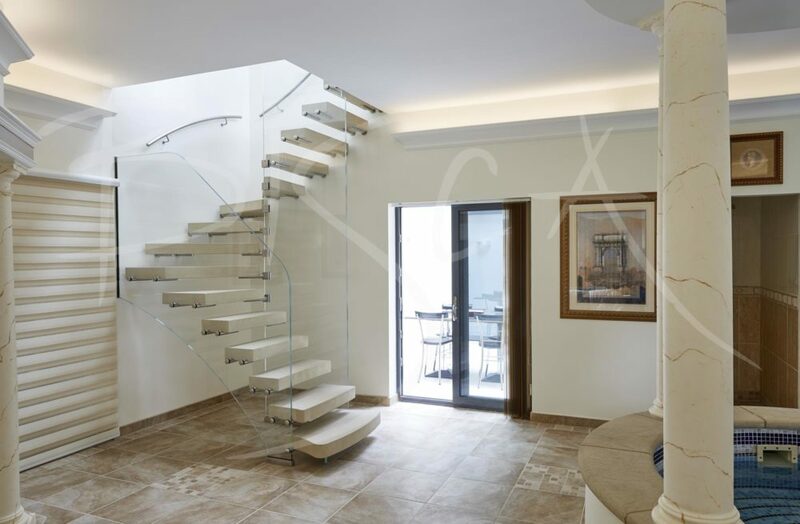 For more information about this staircase please mention 6073. 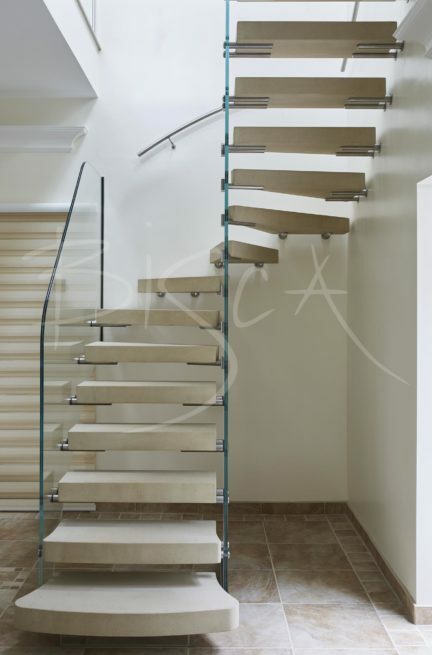 Sandstone is just one of the many stone options offered by Bisca.